This book describes the way that pharmaceutical projects and programs are currently managed, and offers views from many highly experienced practitioners from within the industry on future directions for drug program management. 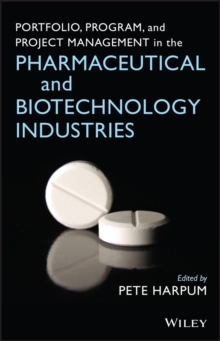 The book integrates portfolio, program, and project management processes as fundamental for effective and efficient drug product development. Contributing expert authors provide their view of how the projectization approach can be taken forward by the drug industry over the coming years.